Hello again, sweet friend. 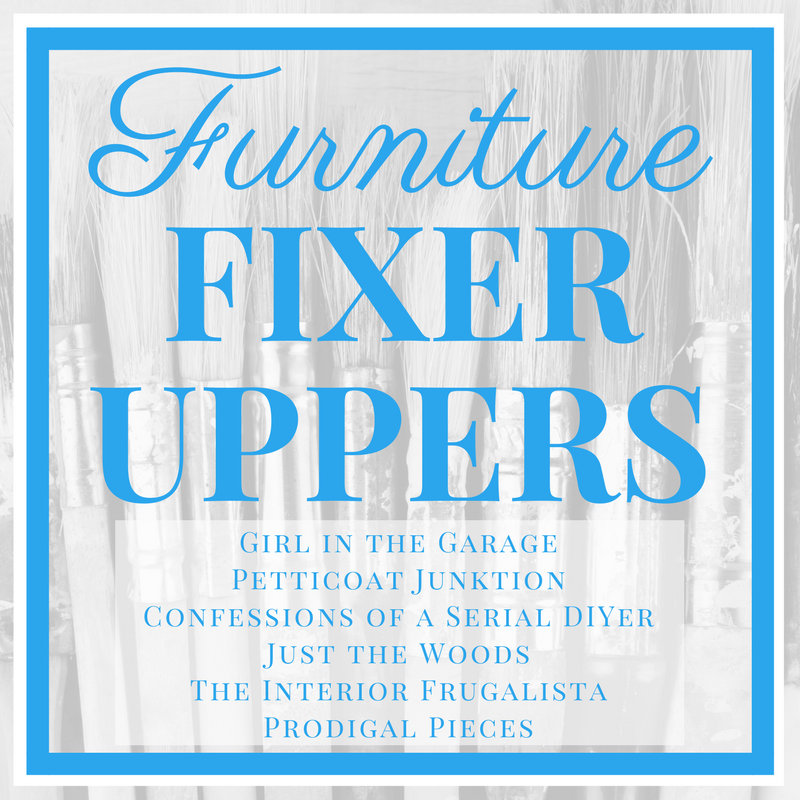 Today is one of my favorite days of the month – Furniture Fixer Uppers day! 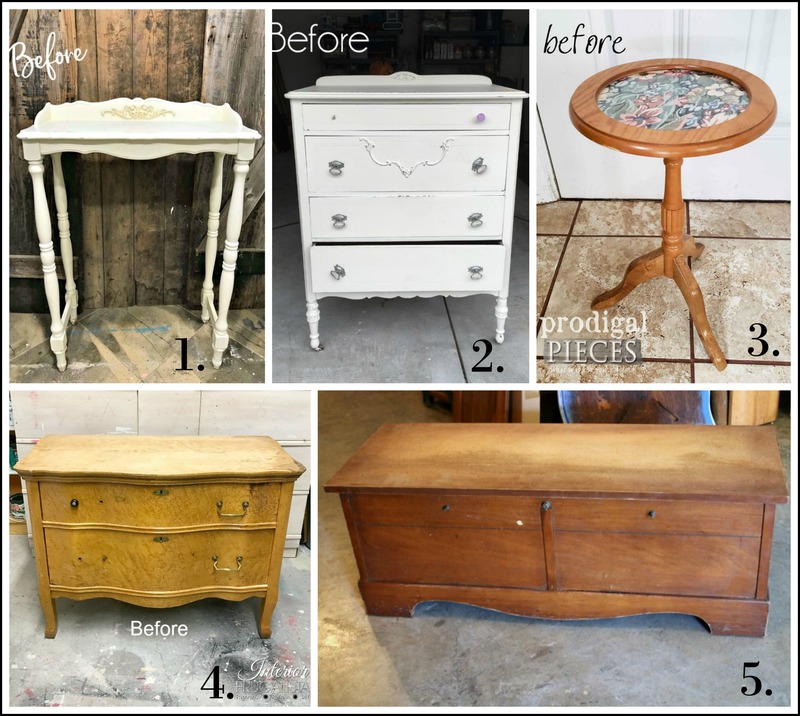 My blogging friends and I are sharing furniture makeovers to inspire you with your own projects. 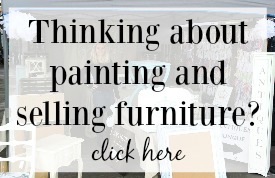 This month I’m sharing not one but two simple furniture makeovers. My book manuscript is due next week (aaahhhhhhh! Please send good vibes my way!) and I’ve been super busy creating 25 brand new tutorials to be published next spring, so this month I took it a little easy for FFU day. 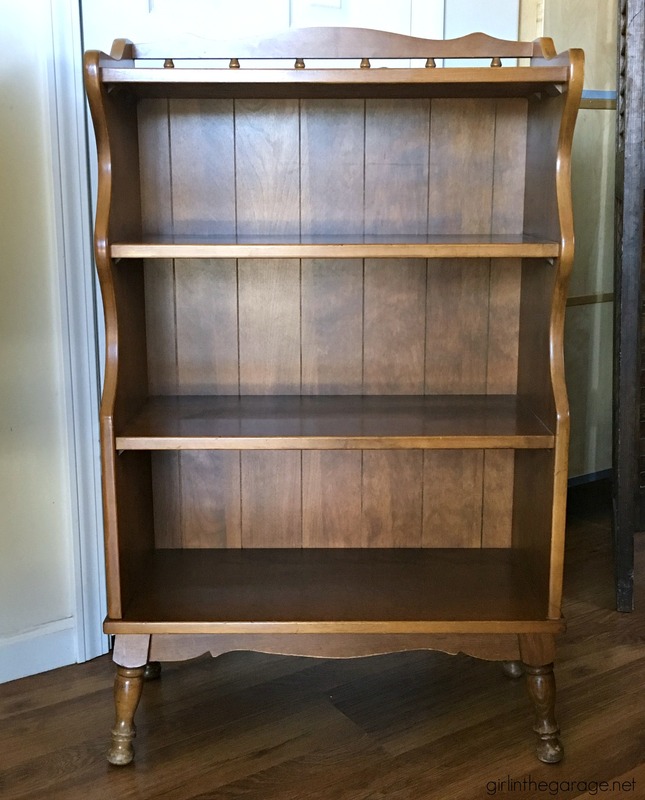 This vintage bookcase came to me via a Facebook listing. 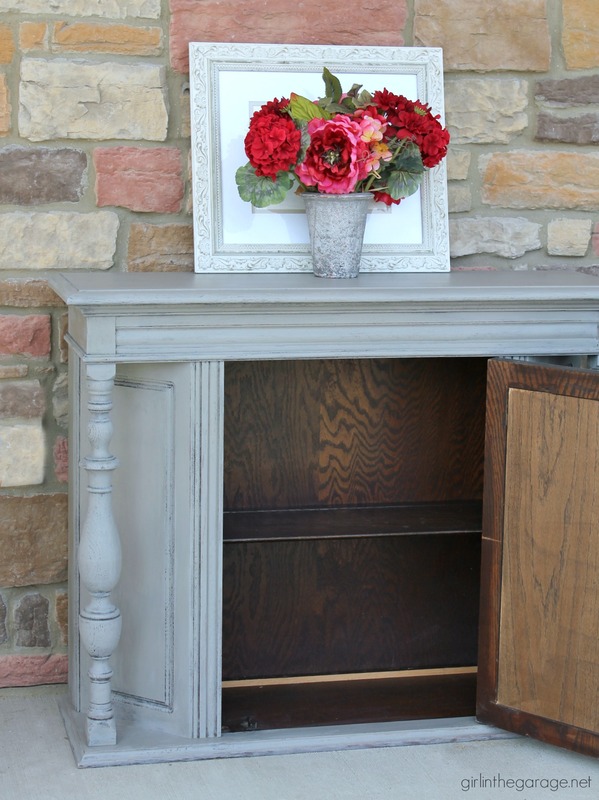 I really liked the curves and thought it could work great for extra storage in a small space. 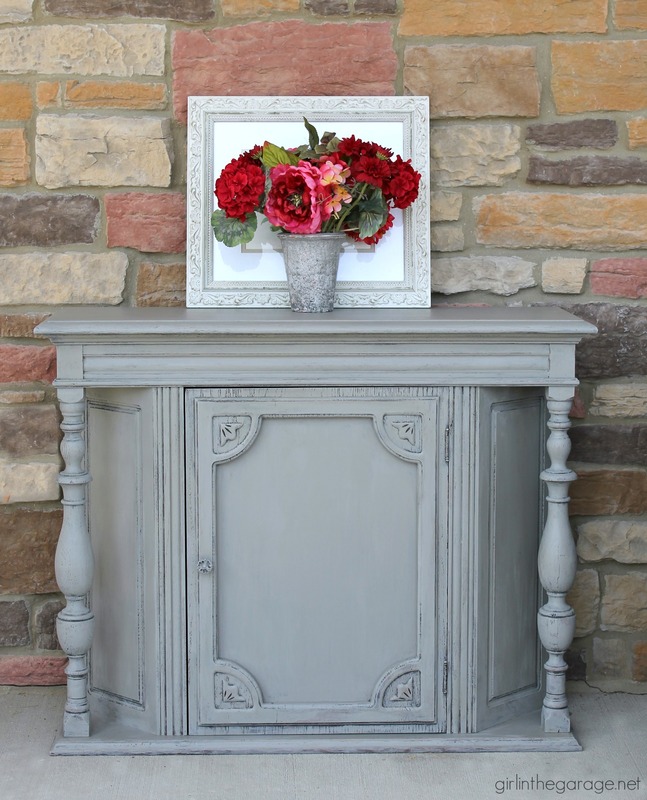 First I gave it a couple coats of Annie Sloan Chalk Paint® in Pure White. 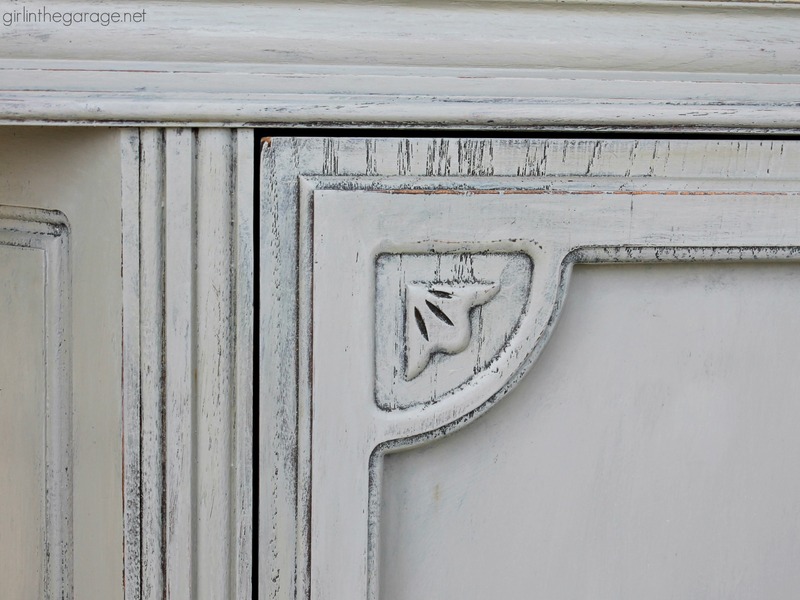 And then I lightly distressed it and applied Annie Sloan’s clear wax for protection. I just love those curves – and the back panel looks like planked wood. It has such a sweet farmhouse look to it, doesn’t it? 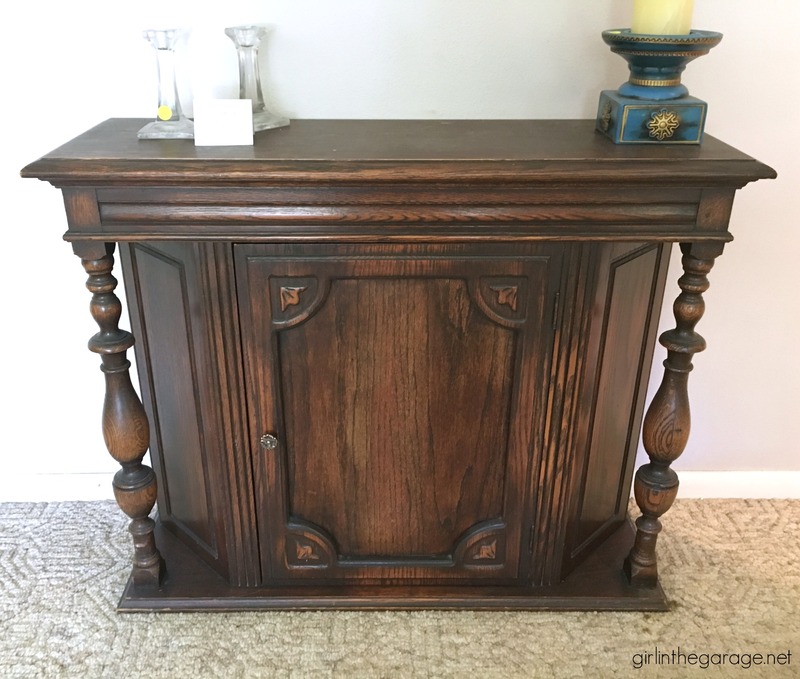 This is another piece that would be great for a small space because it’s not very deep. 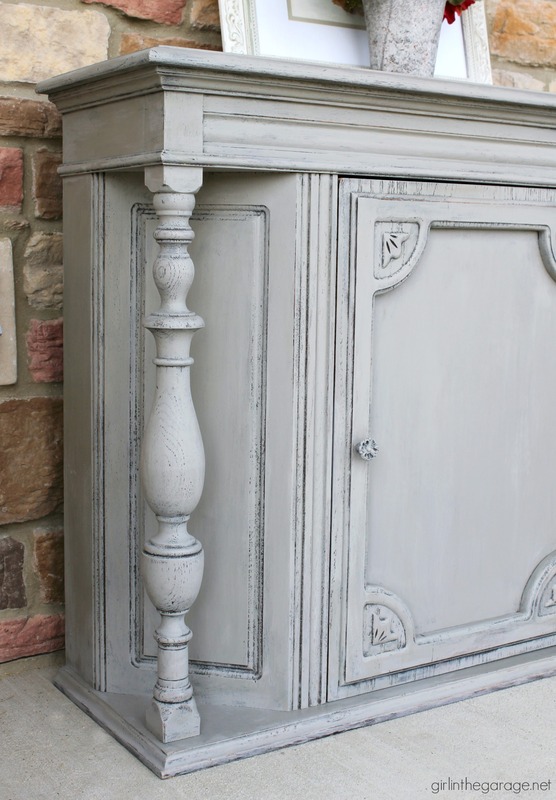 It was painted in Annie Sloan Chalk Paint® in French Linen and then distressed quite a bit so the details and curves would stand out more. 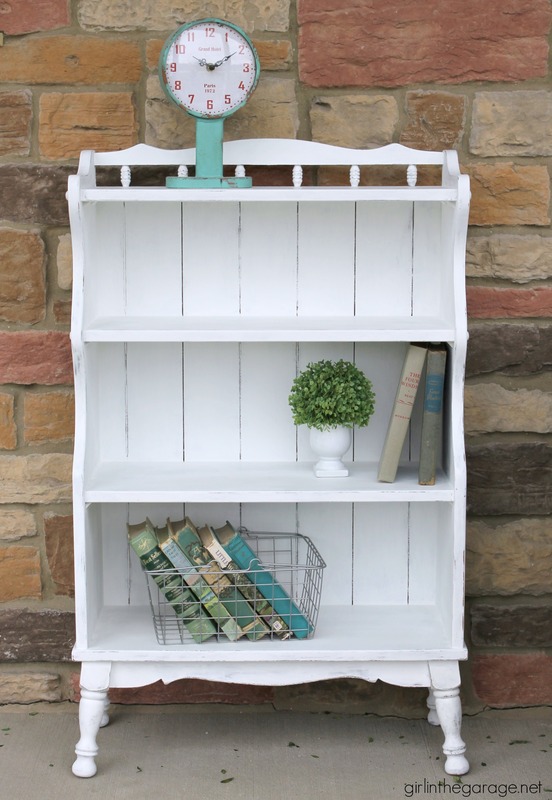 This one was also protected with Annie Sloan’s clear wax. These have both already sold. 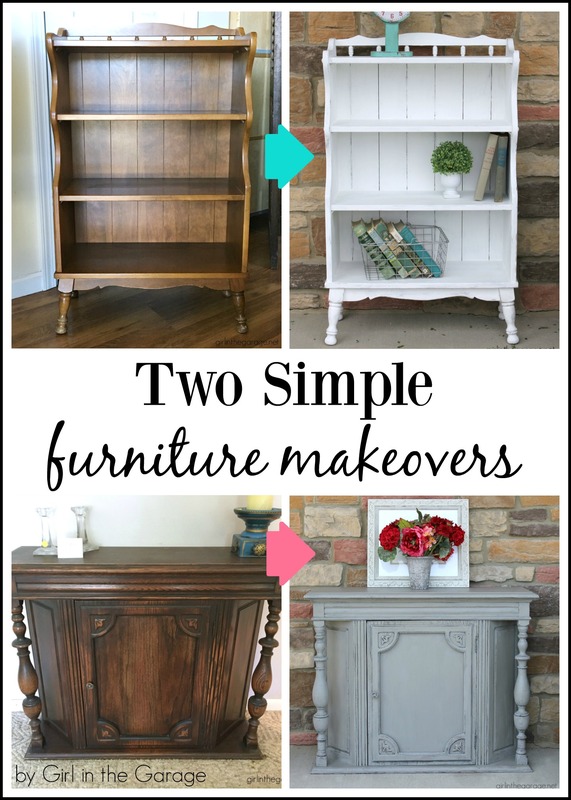 🙂 I hope you like these simple furniture makeovers. It’s good to mix things up – sometimes I like to be really creative and go all out, and other times the piece just calls for something more simple. Oh my gosh! I am seriously loving that bookshelf. Now I have another thing to be on the hunt for! Thanks for sharing. Thanks Christy! 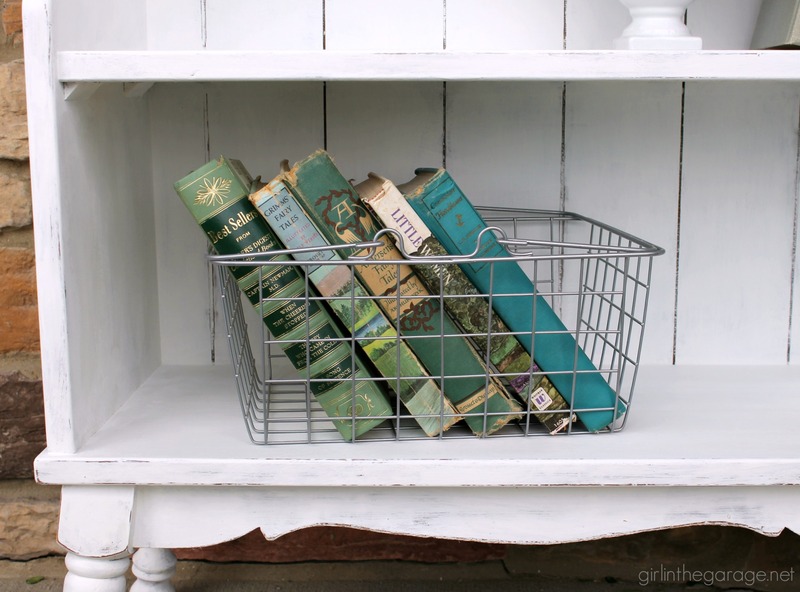 So funny – I originally thought of replacing the back of the bookcase but I’m so glad I left it! 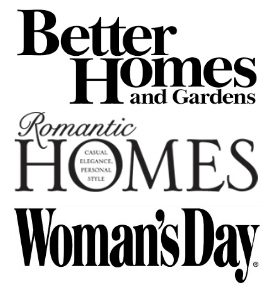 So many exciting things on the horizon for you Jen! 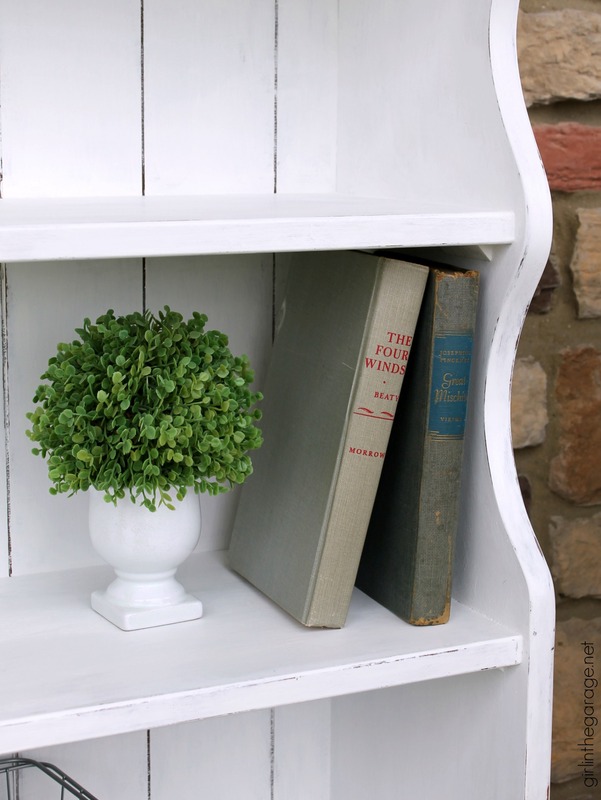 Two lovely makeovers and I especially love how white paint completely updated the bookcase into a charming farmhouse style. No surprise they both sold already! I bet your book will look amazing on that bookcase ?. 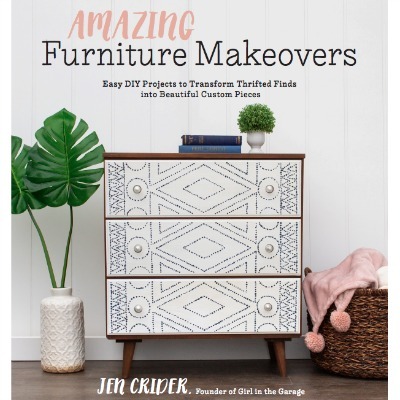 Congrats on the book and love the makeovers ? 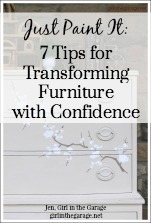 The bookshelf would look great in a bathroom to hold rolls of TP, cannisters of cotton balls, q-tips, etc. and some small towels. I love the open bookshelf. Just like what I hope to find! Oh gosh! I hope I run across a bookcase like that one! I would paint it exactly the way you did. 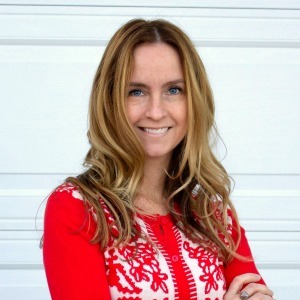 Looking forward to your book when it’s released! I have the same little book shelf. I painted mine light gray. I loved both your projects.